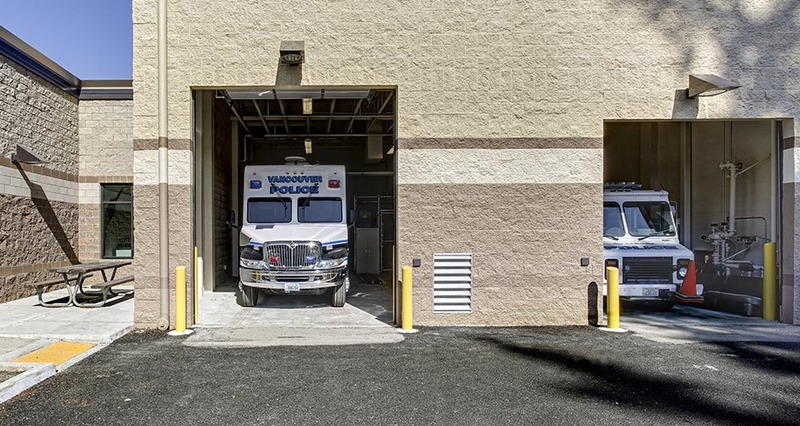 Mackenzie provided comprehensive A/E services for the renovation and expansion of the Vancouver Police West Precinct. 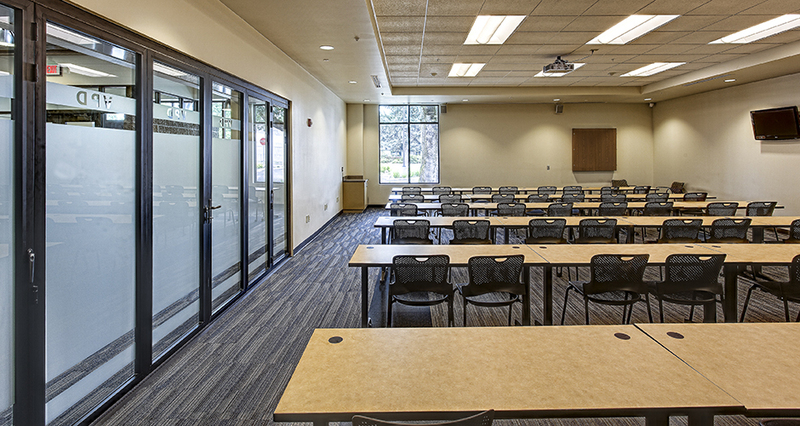 The project consisted of renovation of the existing 7,000 SF precinct and the addition of approximately 27,800 SF to create a new 34,800 SF state-of-the-art policing facility. 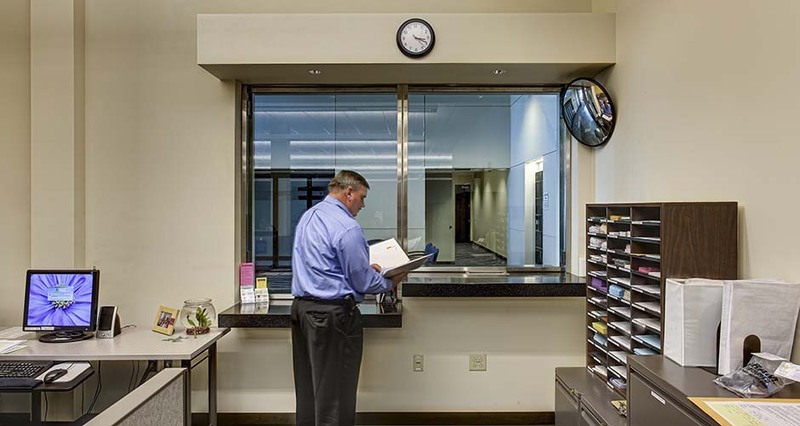 A one-and-a-half-story glass entry serves as a hinge joining old and new. The design follows the standards and vernacular established in the Vancouver Police East Precinct building, also designed by Mackenzie, to provide easy recognition as a Vancouver Police facility. 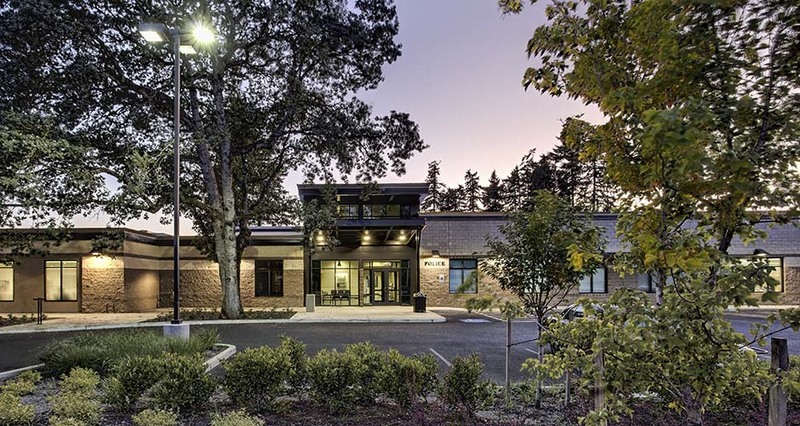 The exterior consists of cost-effective, low-maintenance split-faced CMU block and features sloped roofs and exposed painted steel canopies and carports. Pervious asphalt is used for all parking and circulation areas, allowing for on-site treatment of all building and site stormwater. In order to minimize operational impacts and keep the facility functional during construction, the project was built in two phases. First the addition was constructed and brought online, then repairs and remodels were undertaken on the existing portion. 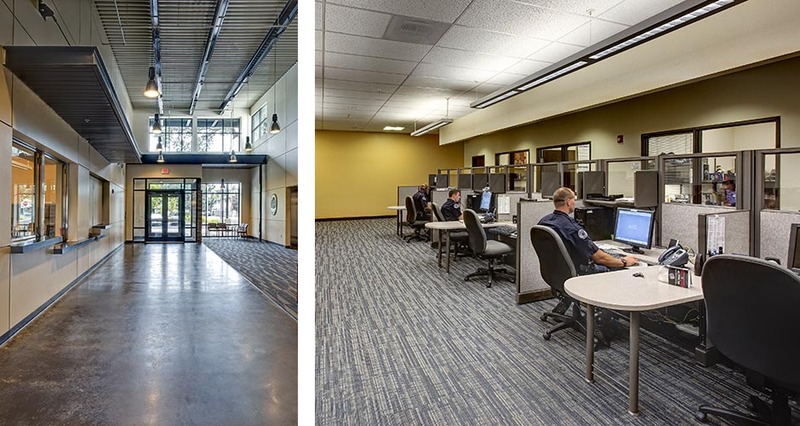 The completed facility houses community policing and computer forensics functions, booking and holding areas, a police training room, SWAT storage, locker rooms and fitness facilities, and a community meeting area.